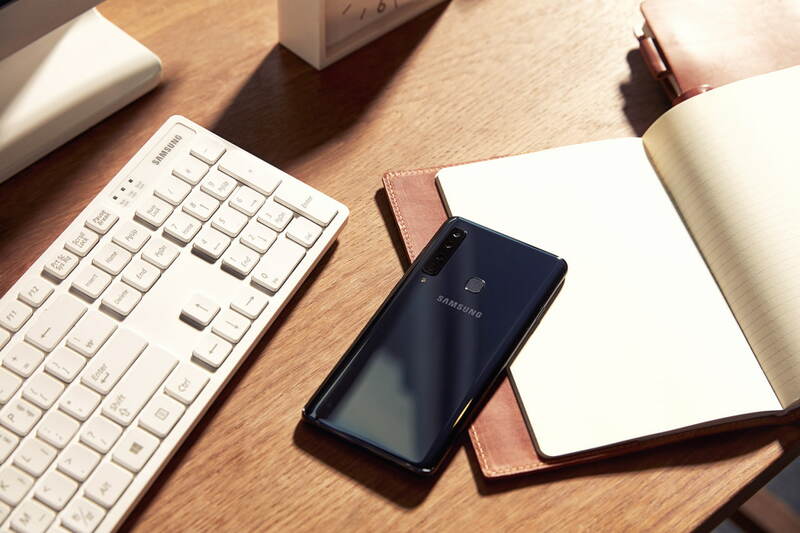 Samsung has unveiled its new Galaxy A9 smartphone featuring the world’s first rear quad camera. 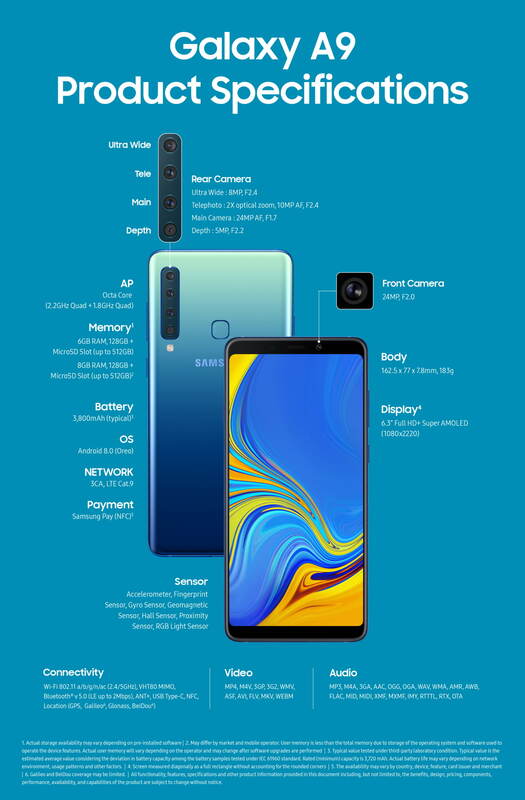 The Galaxy A9‘s rear lenses include a main 24MP F1.7 lens, a telephoto 2X optical 10MP F2.4 lens, an ultra wide 120 degree 8MP F2.4 lens, and a 5MP F2.2 depth lens. ● Get close without compromise with 2x Optical Zoom for incredible and detailed close-up shots even from far away. ● Capture the world in its fullest and without limit, with the Ultra Wide Lens, and shoot like a pro with the Scene Optimizer. Thanks to AI Scene Recognition, your camera is now smarter, and able to identify the subject and adjust settings accordingly for the best photo, in an instant. ● Express your creativity with the Depth Lens, giving you the freedom to manually manage the photos’ depth of field and focus on the subject for stunning, professional looking images. ● Capture clear and bright images in both bright and low light conditions with Galaxy A9’s 24MP Main Lens, for gorgeous photos at any time of the day. The Galaxy A9 features a 3,800mAh battery, 128GB of storage, and up to 512GB of expandable memory. It has a 6.3-inch Full HD+ Super AMOLED display with a resolution of 1080×2220 and a Octa Core (2.2GHz Quad + 1.8GHz Quad) processor. You can purchase the device with 6GB or 8GB of RAM. The Galaxy A9 comes in three colors: Caviar Black, Lemonade Blue and Bubblegum Pink. It will be released in select markets from November. 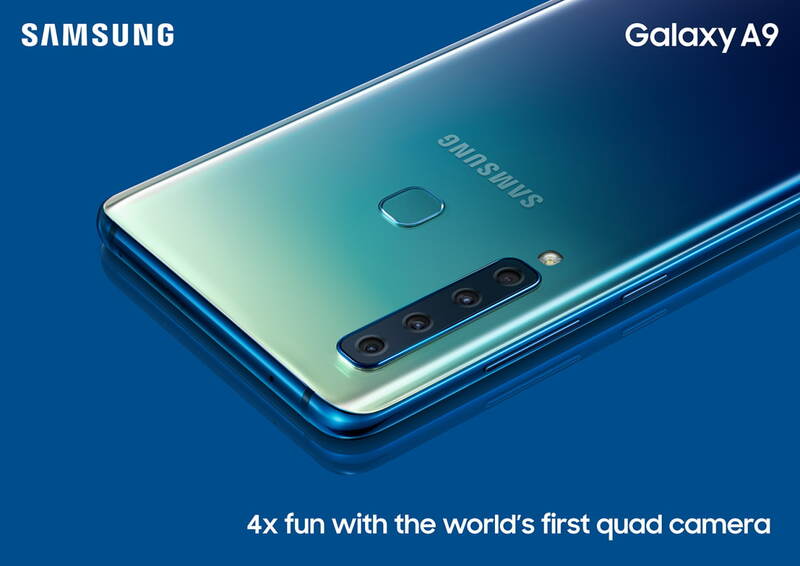 The Galaxy A9 (2018) is the world’s first smartphone with a quad camera. Samsung is obviously going to tout this. It has become the only come to launch such a device. The new Galaxy A9 was unveiled at an event in Kuala Lumpur yesterday. With the launch out of the way, Samsung can now get down to the business of selling this device. It has released the first Galaxy A9 TV commercial. As expected, the quad camera is the star of the show. The entire commercial is dedicated to the camera’s capabilities with no mention of any of the handset’s other abilities. The device itself isn’t all that different from other mid-range Samsung handsets. It’s similar in more ways than one to the Galaxy A8 Star. The only thing that sets it apart is the quad camera system. 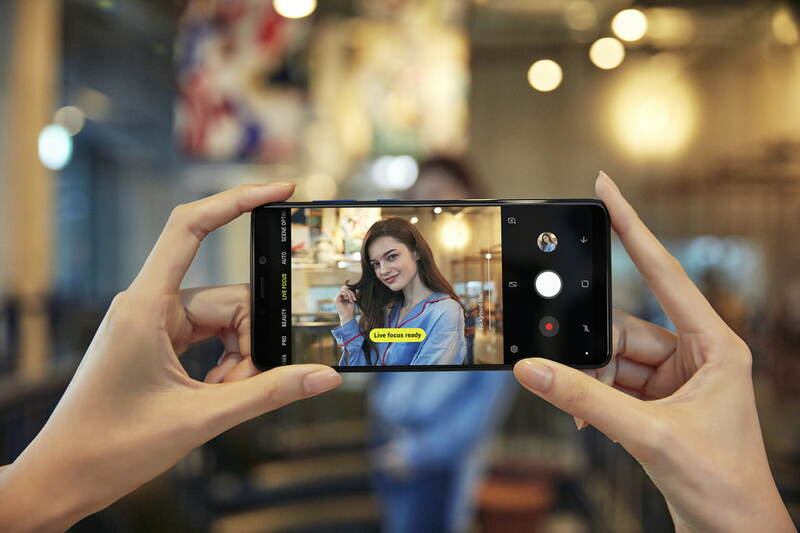 The Galaxy A9 (2018) arrives not long after the new Galaxy A7, Samsung’s first smartphone with a triple camera. The quad camera system is what this TV commercial focuses on. It starts off by highlighting the 8-megapixel Ultra-Wide lens that has a 120-degree FOV. The 10-megapixel telephoto lens with 2x optical zoom gets its moment to shine as well. The 5-megapixel Depth lens allows for Live Focus photos, adding bokeh (blur) effect to images. The primary 24-megapixel lens is a solid shooter in its own right. Check out our samples from all four of the Galaxy A9’s cameras. We mentioned in our Galaxy A9 hands-on that the quad camera system on this device works as advertised. There are some handy software features as well to enhance the imaging experience. Other than that, it’s a run of the mill mid-ranger from Samsung. Samsung said yesterday that the Galaxy A9 will launch in mid-November. We have already told you how much the Galaxy A9 (2018) will cost. Samsung‘s Galaxy A9 SM-A920F specifications and features: this is a 6.3″(167.64mm) device with a FHD + 108 x 2220 screen resolution. The phone is powered by the Qualcomm Snapdragon 660 soc with a Quad-Core 2.2GHz & Quad-Core 1.8 GHz configuration. Memory is 6GB, with the device offering 128GB internal storage and up to 512GB of external memory. The Galaxy A9 features Accelerometer, Fingerprint Sensor, Gyro Sensor, Geomagnetic Sensor and Hall Sensor. Notable features include Samsung Pay (NFC). The device measures 162.5 x 77 x 7.8mm and weighs 183g.